Benjamin is an industry leader in knowledge representation, reasoning, and acquisition. He has pioneered semantic technology and industry standards for rules, the combination of rules with ontologies, the applications of rules in e-commerce and policies, the acquisition of rules and ontologies from natural language, courteous defeasibility, and restraint bounded rationality. He co-founded RuleML and has had driving roles in W3C RIF and OWL-RL. He has experience in a wide variety of application areas as well as in machine learning and probabilistic reasoning. Previously, he led a large research program in rule-based AI at Vulcan Inc. for Paul G. Allen (2007-2013), was an IT professor at MIT Sloan (2000-2007), and was a senior software scientist at IBM Research (1988-2000). 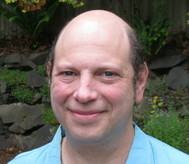 His background includes 4 major industry software releases, a Stanford PhD in computer science, a Harvard BA, and over 50 refereed publications. defeasible higher-order logic formulas, bounded rationality, and other meta power. The rules extend, and work well together with, ontologies as well. RIF-Rulelog is in draft as a standards submission from RuleML to W3C. A new approach to natural language processing (NLP) that does logic-based mapping between English text and Rulelog knowledge. Called Textual Logic, it includes new methods for fully explaining decisions / conclusions in English, and for rapid authoring of rich semantic rules starting from nearly unrestricted English. The meaning of an English sentence is captured deeply and precisely. Defeasibility handles the logical (inconsistency) conflict and exceptions that are practically inevitable in NLP, empirical knowledge, and large knowledge bases acquired from and maintained by distributed users.